Each pack has 144 edible wafer butterfly decorations in beautiful packaging. 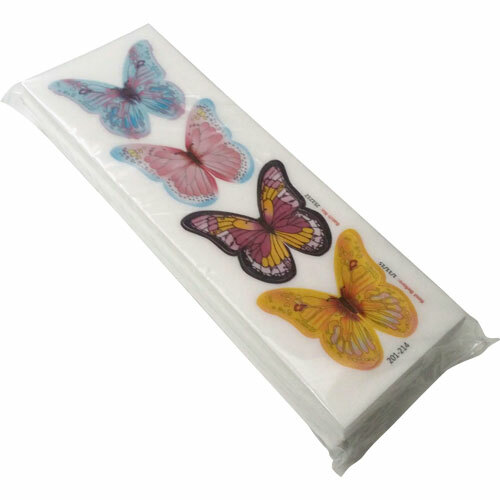 Our most popular pack of butterflies by far! The pack contains 144 butterflies with beautiful and different designs. Retail packs of 12 and 24 are also available. These easy to use vanilla wafer toppers give a stunning and realistic effect.